A semi-dry white wine with a pleasing floral bouquet and a fruity peach or apricot finish. Pairs well with fish and poultry, as well as salads. A complex and refreshing summer wine. 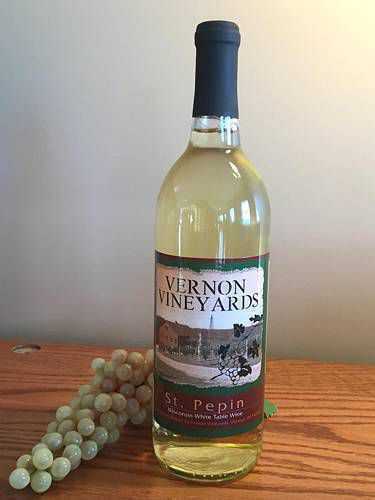 Locally grown and produced from cold-climate St. Pepin grapes. Serve chilled.